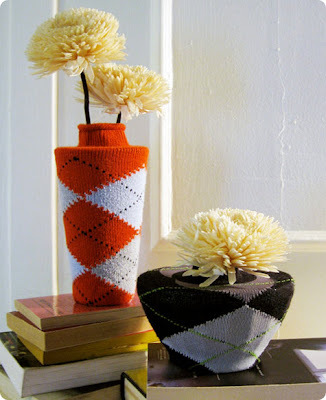 check out these awesome argyle sock vase coverings. it seems this would be a perfect Saturday afternoon project. instead of throwing out those pairs of socks that seem to have lost their pair, use the abandoned sock to create a fun project or two. DIY: can't paint? use contact paper!